With this deluxe costume from Rubie's, she'll feel like the original rebel princess! 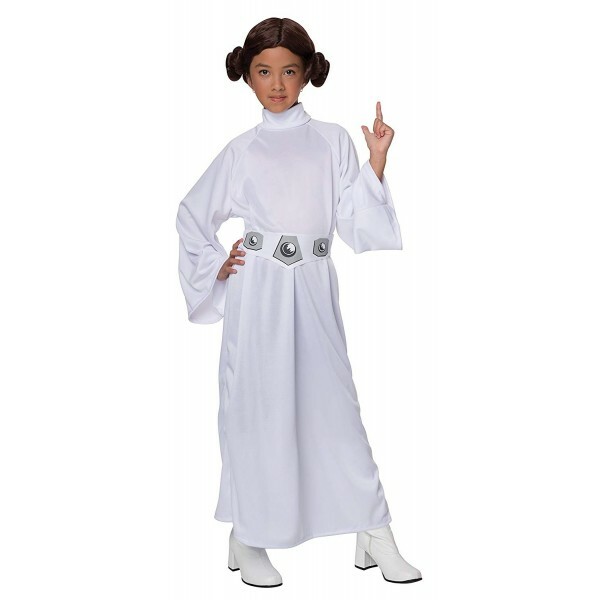 This officially licensed Princess Leia costume set includes a long-sleeved white dress, a printed belt, and a wig with side buns, just like her wardrobe in Star Wars: A New Hope. Please note: accessories like blasters not included.